Between November 26, 2018 and February 1, 2019, the International Film Club will view and discuss the documentary Kayaya, The Living Shopping Basket about young girls in Ghana, who are forced by their families, or who go willingly to work in the city, to help increase the household's earnings. Access the film here and join the discussions in the International Film Club in the Collaboration Centre! Participants in the YouthCaN project from Turkey and the United States are looking for new partners to interact with on environmental projects. YouthCaN is a network of youth-directed clubs, classes and community groups who share an interest in studying and protecting the environment. Activities include coordinating and sharing about local hikes, explorations of the environment, and investigations of environmental topics between the youth participants. 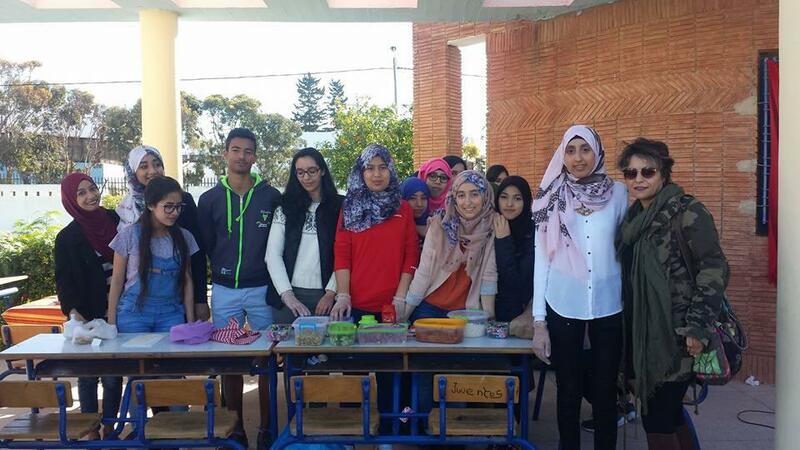 Join the YouthCaN project in the iEARN Collaboration Centre to participate! This year the project 3Estacions celebrates its 10th anniversary. Five Catalan schools, 235 students, and 12 teachers will explore how their environment changes with the passage of three seasons in the year. 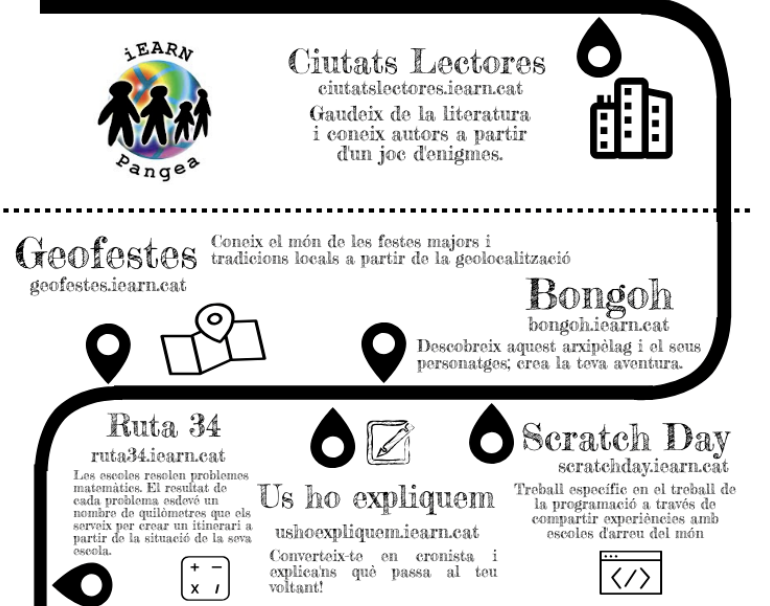 3Estacions is an iEARN Pangea project in Catalan language for preprimary students. To learn more about other collaborative projects hosted by iEARN Pangea, including Bongoh, Us ho expliquem, Ruta34 project, ScratchDay project, and QR Week project visit: http://iearn.cat/. The Global Math project celebrates the work of more than 200 students and teachers in Poland, Lesotho, Mexico and the U.S. that collaborated together and shared their findings on the Population Project. For the Population Project, groups collected data on our growing world population and created mathematical models to predict when Earth will reach its carry capacity. Students conducted research to explore the consequences of overpopulation, including climate change, access to water and distribution of resources. View students project work in the Collaboration Centre or check out websites created by students on population growth (example 1, example 2). The Be Kind, Don't Leave Them Behind project invites you to join and take part in a global action activity to relieve the pain and the suffering of those in need. Youth in this project select one or more social issues they would like to address, then collaborate with each other to reduce the suffering of vulnerable people in their respective communities and share their outcomes. Join the Be Kind, Don't Leave Them Behind project in the Collaboration Centre to participate! 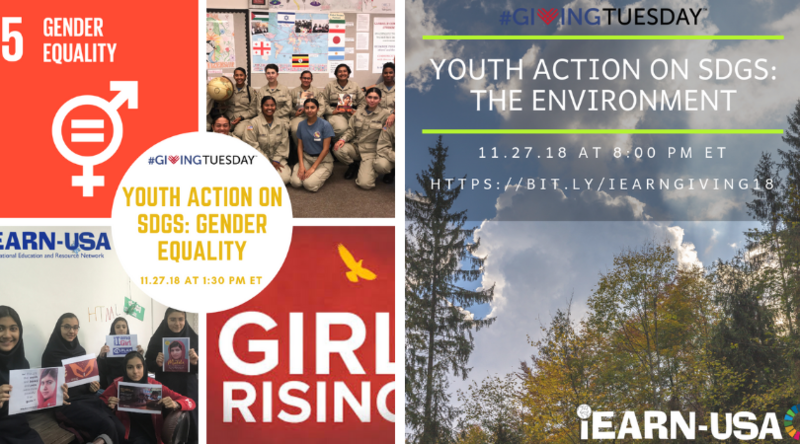 iEARN-USA is hosting two webinars on #GivingTuesday, November 27, 2018, to celebrate the inspiring work of iEARN youth to support of the Sustainable Development Goals. The "Youth Action on SDGs: Gender Equality" webinar from 1:30 - 2:30 pm ET will include ###/strongYouth Action on SDGs: The Environment", will feature educators and students' environmental project world. 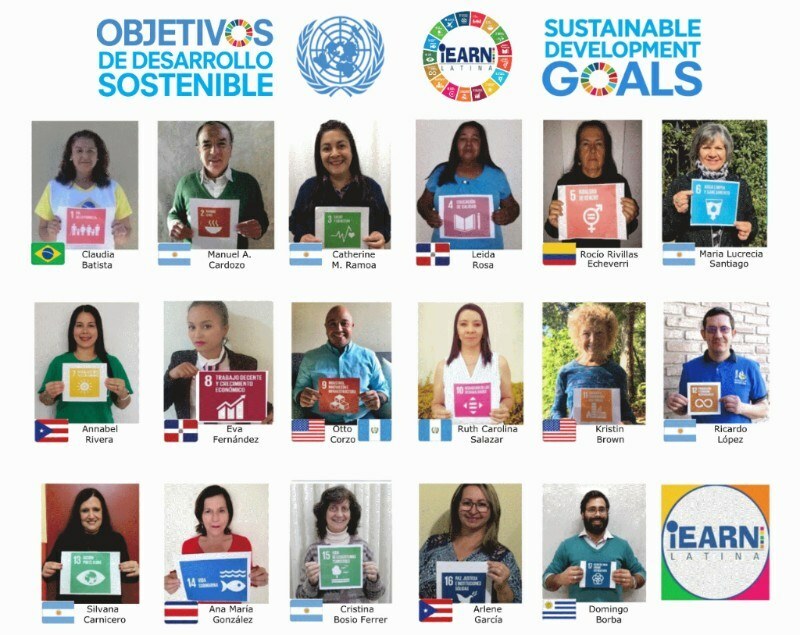 iEARN LATINA es el grupo formado por los docentes de los países de habla hispana y portuguesa en América del Sur, Centroamérica, Catalunya (Pangea), IEARN-Orillas, etc. Disponemos de un grupo en el centro de colaboración iEARN, recientemente reorganizado para facilitar las informaciones, noticias, recursos actualizados a todos los interesados en los proyectos colaborativos. Cada trimestre realizamos una videoconferencia para presentar los proyectos activos en los meses siguientes. Disponemos de dos espacios para consultar los proyectos que se ofrencen desde los centros iEARN Latina: Cuadernillo de proyectos, proyectos activos en este momento (se va actualizando cada trimestre). Join iEARN-USA at our next virtual hang-out on December 5th at 7:00 pm EST. This webinar will feature iEARN projects celebrating cultural heritage, customs and traditions. Come learn about these projects and iEARN Professional Development opportunities, and connect with other global educators. To register, visit: bit.ly/iEARNedu. In February 2019, iEARN-USA is offering an eight-week online course facilitated by experienced iEARN educators linking teachers around the world to collaborate on project integration and standards alignment. Participants will learn about global project-based learning with iEARN, prepare to participate in a virtual exchange project with their class, and collaborate with other teachers from around the world. Following the online course, participants will select an iEARN project and participate in an exchange with their class. Visit the iEARN-USA website to learn more about the online course and to register. Looking for new global education or collaborative projects, resources, or technologies? Or do you run a project that connects students? The Teachers’ Guide to Global Collaboration is a searchable database of projects and resources to help educators find and connect with projects and programs that align with their curricula, goals, and interests. Join or share global education projects in the Teachers' Guide to Global Collaboration by visiting http://www.globaledguide.org.